Marketing is responsible for generating quality leads ready for a buying decision through inbound and digital marketing. The sales team, on the other hand, can target qualified leads more strategically and leverage assets for the sales call based on what the prospects have viewed. So why is there oftentimes friction between the two? 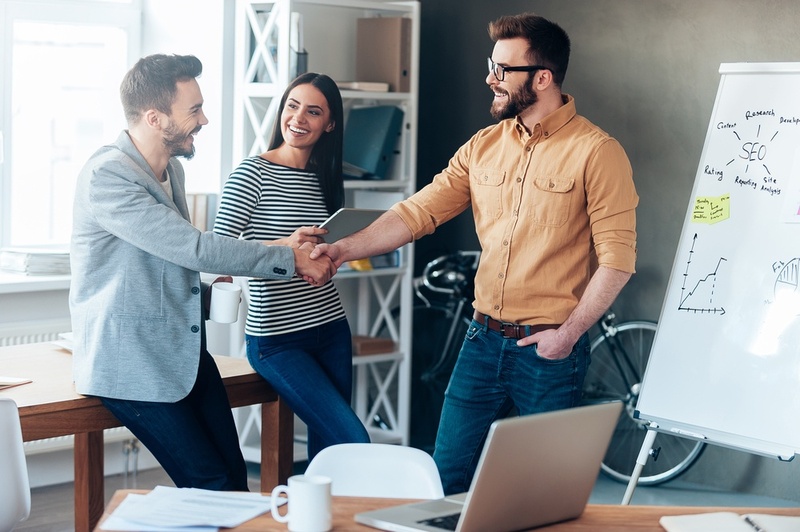 Here are three key reasons why marketing and sales departments should act as one team, even if they are segmented into two departments. Prospect Pain Points – There are numerous tools out there that provide data on keyword research, competitor research and search engine rankings to help marketers develop a strategy to reach their target audience. This research should be done to reveal potential opportunities, and a meeting with a sales manager or top performing members of the sales team is just as critical. They are in the line of fire, hearing pain points and items of pushback directly from the prospects themselves! Both blog topics and rich content pieces can be created based on common objections and can generate stronger leads for the sales team. Qualify & Disqualify Leads – A common complaint from sales teams is that the leads passed over from marketing aren’t truly qualified. This issue typically occurs when there is lack of communication between the two departments. Determinants of whether a lead is sales-ready or not can differ based on product, target personas or specific areas of focus. Sales and marketing teams should constantly collaborate on the criteria to determine a sales-qualified lead. Agreed upon qualifications should be documented so both teams can have it on hand for reference. Open communication will help the marketing team to think like a sales person, and ultimately help better qualify and disqualify leads. Provide Quality Leads – Both teams want to know that they’re doing a good job generating results, as well as know that their efforts aren’t simply being pushed to the wayside once completed. It’s imperative that both teams develop metrics and benchmarks to track current efforts, which can be turned into either weekly or monthly reporting. Reporting will be key in analyzing what’s working well, so you can repeat efforts, and in highlighting areas of improvement. This will ensure that neither team has to recreate the wheel with repeat efforts. While it makes sense for most companies to have two separate departments for sales and marketing, these two teams should always act as one. Not doing so can easily lead to misalignment on lead qualifications, miscommunication on key pain points from customers, and ultimately, missed opportunities to close new customers. Whether you’re in sales or marketing, close the email and connect with your department neighbor to make both of your lives easier and more successful!